A key ‘produce where you sell’ policy is just one of the strategies behind the consumer sector’s second largest private label manufacturer. TWM talked to Hendrik Otto, chief operating officer, WEPA Group. By Helen Morris, Senior Editor. TWM/1: What presence does the WEPA Group have in Germany? “In Germany, the WEPA Group has five locations: two in North Rhine-Westphalia and one each in Rhineland-Palatinate, Saxony and Saxony-Anhalt. 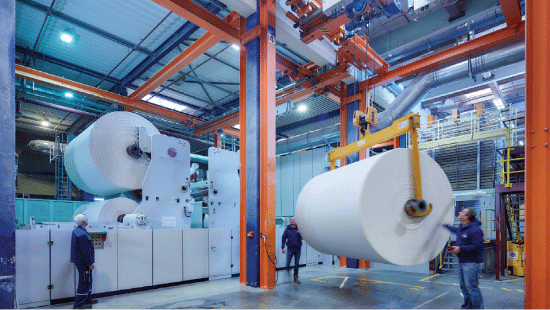 We operate a total of ten paper machines here with a production capacity of around 400,000 tonnes. We produce toilet paper and kitchen towels in four mills, one of which also produces towel paper and industrial rolls. 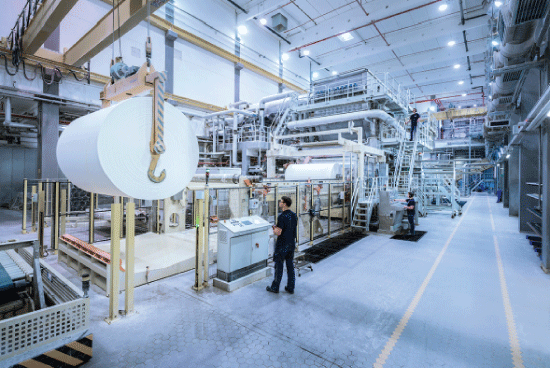 “The plant in Saxony is our competence centre for folded products such as handkerchiefs and cosmetic tissues. We are constantly investing in the expansion and modernisation of all our sites. For example, in 2015 we commissioned a new, energy-efficient paper machine with an annual capacity of 30,000 metric tonnes at our Marsberg-Giershagen mill. This site is today the largest production site in the WEPA Group with around 500 employees. TWM/2: Are you looking to grow in the German tissue market, if so, how and when? “The German market is highly concentrated. 80% of the turnover in the consumer business is generated by the five largest retailers, all of which are supplied by WEPA with private labels. Our growth is therefore generated by the usual annual growth rates, which in Germany are around 1-2%. However, we also take advantage of opportunities to acquire further quantities when opportunities present themselves and at adequate margins. cosmetic tissues, we have set up competence centres from which we supply other European countries. TWM/3: Are you seeing overcapacity in the German tissue market? How are you dealing with this? TWM/4: Do you export, and if so, what percentage? “The WEPA Group has a well-established network of production sites in Europe. If it is appropriate for logistical or production reasons, products are also sold across borders, but this is not our goal. “Produce where you sell” is particularly important for WEPA in terms of sustainability. TWM/5: What percentage of private label products make up the German tissue market? TWM/6: Are environmentally-friendly products popular here, is it a key sector for you? “WEPA is regarded as a recycling specialist among the European tissue paper manufacturers. This is an essential component of our overall sustainable orientation and a determining element of our raw material strategy, because the use of waste paper protects our forests and consumes less energy and water. The fresh fibres used by WEPA come from sustainable sources and a certified timber industry. TWM/7: Is growth in the German tissue market flat? TWM/8: How is the current economy impacting the German tissue market? What opportunities does this present for you? TWM/9: What are the main challenges for you in the next few years? “There are certainly some challenges that we will face. First of all, there are the commodity markets. The availability of raw materials – pulp as well as recovered paper – will continue to have a considerable influence on raw material prices. “For pulp, there is also the development of the $/EUR exchange rate, which is taken into account here in Europe. This makes it all the more important for us to gain experience with alternative raw materials or optimised fibre use in order to at least partially offset these risks. “Unstable governments and different legislations in Europe also influence the economic success of companies. Furthermore, the challenges in the field of ecological sustainability will not result in low additional costs. First and foremost, energy supply and the corresponding price development should be mentioned. In the long term, we cannot yet predict in detail how the phaseout of nuclear and coal energy will affect Germany. “And last but not least, there is an upcoming lack of qualified and trained personnel in Germany, especially in the logistics sector. Delivery bottlenecks can already occur today because there are no longer enough drivers for the available freight space. TWM/10: And the main opportunities? Share the post "In balance – WEPA Group ethos mirrors Germany’s stable tissue performance"